Columbus Night Life ( NightLife ), RMC is an Inter - City Cultuiral Communications web site program between the cities of Columbus, Ohio, and Ithaca, New York. Columbus is the capital of Ohio and named, of course, for explorer Christopher Columbus, 1812. Economic factors include higher education, insurance and mutal funds, research into health care efforts, high technologies as a conditional high tech spin offs from Ohio State University continues. The stats are - including Marion and Chillocothe - est. 1,930,000 population. Higher Education centered economy: With Ohio State University - one of the laregest global campuses, certainly the largest in America, and Columbus State Community College the economic activities in and around Columbus is always upbeat, even in the dreads of deepining winters, with the constant cycle of youth with spendable cash and credits into its urban arenas of attraction before and during the city's nightlife activities has been very impressive. Major American institutional student credit programs [ HSBC, City - when it was aorund - and Bank America ] got their biggest boost from this student population base. The midwestern part of the United State is a virtual gold mine in mutual funds as it is this contental area of America who has traditionally been great in keeping personal saving accounts at the sametime while investing for early and productive retirements. It is the reason why HSBC HQ is in Illinois instead of NYC. International and National Cultural Fiesta Movement . The major faciliative operational arm which promotes and via internal forums interacts with other International Students / Scholars to produce International and National Cultural Fiesta. International Students / Scholars Network . An effort to promote a stronger and more academic excellence between International Students / Scholars who active at American academia. International Students / Scholars InterCultural Communications - a resource directory site for the Internationals at our campuses through America and beyond. An Ithaca Night Life ( NightLife ), RMC ~ Community Cultural - Democratic Initiative. Now being culturally shared with Columbus, Ohio. Participate with others in expanding the social and cultural opportunities of Ithaca. Ithaca Night Life ( NightLife ), NY ~ Columbus Social Calendar is now open for you and your organization to post your weekly social events. Moreover, Columbus Social Get - Togethers forum is where you and others can plan and create your own social group, and socials More importantly, it will allow you the ability to explore your own leadership potential and set idealistic principles to emerge at the sametime. In conjunction with this program is Dance Community ~ Columbus Get - Togethers forum where you can plan and create your own social dance groups and social dances. 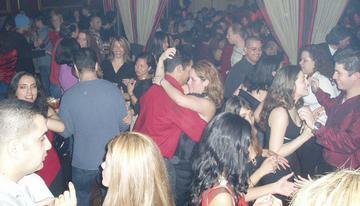 Here also you can post your weekly dance socials on Columbus Social Dance Calendar . Also, to assist you in developing your own social dance group the Dance is Fun in Columbus forum has been created for you and others to use in the organization of your own independent dance groupe or amatuer dance troupe. Add stimulating and fascinating events to Columbus' social calendar, and to meet interesting people as well as encounter the unexpected in your life. 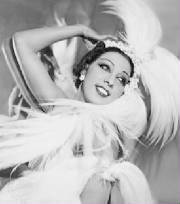 Ithaca Night Life ( NightLife ), NY Inter - Cities ( 50 cities up to date ) Cultural Communications Network now includes Les Avant Garde @ Columbus la' Avant Garde . This gives you the additional opportunities to explore ( off - campus ) social, cultural, and at times spiritual issues which are at the cutting edge of human frontiers. The Heroic Generation, Pax Fidelis, Arab - Israeli Reconciliation, The Social Cultural Revolution of Cultural Democracies are but a short list of topics for the year 2006. Start today! Initiate your own dialouge groups and later on an organization on la' Avant Garde ~ Columbus Get - Togethers today. Keeping our nation safe and secured, while at the sametime giving you opportunities to assist in peoples initiatives for reconciliation is another opportunity. Night Life ( NightLife ), RMC series is the major internet promotional arm of The Foundation For Arab - Israeli Reconciliation-Columbus, New York . It is the private sector aspect where you can privately have influences which make this approach uniquely different. Exciting news are forth - coming about this process . FAIR's - Columbus Get Together forums allows you to initiate discussions forums and seminars on the ethnocentric commonalities which exist between the Israeli and Arab peoples to occur as public events within Ithaca itself. More to the point, and thus all to the more important, it will be initiated by your ongoing developing community leadership and not academia's. COLUMBUS, Ohio (August 24, 2007)—The Columbus Foundation is awarding $603,650 to improve the lives of local citizens through grants for 17 health programs in central Ohio. The grants were approved from unrestricted and field of interest funds by the Governing Committee of The Columbus Foundation at its July 31 meeting. A unique project receiving Columbus Foundation support is a joint venture between two central Ohio nonprofit organizations. The Central Ohio Breathing Association will receive $20,000 to implement a shared services model with the Central Ohio Diabetes Association that includes hiring a shared staff person and instituting a shared billing-for-services system. The primary goals of the project are to reduce organizational operating costs and better serve the needs of the central Ohio community. The Central Ohio Breathing Association provides education and prevention programs and services on the management of lung health and lung disease, including tobacco cessation and prevention programs, lung health support programs, and health education and disease case management services for vulnerable populations with asthma and chronic pulmonary lung disease. The Central Ohio Diabetes Association provides direct services to adults and children including detection and prevention services as well as disease management. Through its competitive grantmaking, The Columbus Foundation supports projects that have a significant impact on central Ohio’s greatest needs. The grants are made possible by donors working with the Foundation to make a difference through the most effective philanthropy possible. Access HealthColumbus, $80,000 to expand the supply of primary care services. Alcohol, Drug and Mental Health Board of Franklin County, $35,000 to design and conduct an evaluation of a behavioral health intervention strategy to reduce behavioral problems involving Somali students at the Mifflin International Middle School Welcome Center. Center of Vocational Alternatives, $38,900 to evaluate a feasibility study for a program to train forensic peer specialists and work with potential employers to create opportunities for ex-offenders to enter the behavioral health system workforce. Central Ohio Breathing Association, $20,000 to provide an on-site health clinic for Home Energy Assistance Program clients served by the organization. Childhood League, Inc., $21,690 to support a mental health therapist position to provide services for children and families enrolled in the Help Me Grow Home Visitation program. Children’s Hunger Alliance, $40,000 to support general operating expenses. Columbus Speech and Hearing Center, $29,000 to establish The SPOT Shop, a lending library to provide educational materials and therapeutic equipment to parents of children whom receive services from the organization. Directions for Youth and Families, $29,600 to purchase supplies and equipment, and to consult with a dietician, allowing the implementation of a nutrition and exercise program at the Ohio Avenue Center. Goodwill Columbus, $30,260 to support a comprehensive health and wellness program for individuals with disabilities and the staff members who serve them. Franklin County Board of Health, $25,000 to recruit, train, and certify 500 community volunteers to serve as members of the Franklin County and Columbus Medical Reserve Corps to respond during community disasters. Lower Lights Christian Health Center, $50,000 to hire two full-time bilingual staff, a medical assistant and an office receptionist, to support the recently hired, bilingual physician. OhioHealth Foundation, $25,000 to support additional interpretation services, translation of health educational materials, cultural competency staff training, and patient incentives to better service the Somali and Hispanic immigrant populations at two far westside clinics. Ohio Hispanic Coalition, $50,000 for a nuturition and disease prevention education program for at-risk Hispanic/Latino families. Ohio State University Research Foundation, $68,000 to support phase 2 and phase 3 of a type 2 diabetes screening program for children ages 11–13 in the 43207 zip code. Planned Parenthood of Central Ohio, $23,200 to launch a three-year development project to increase resources available for central Ohio residents from low-income households. POEM, Inc., $18,000 to provide support to develop marketing materials, volunteer training and orientation materials, and to implement a volunteer recruitment program. The Columbus Foundation is the trusted philanthropic advisor to nearly 1,600 individuals, families, and businesses, who have created funds to make a difference in the lives of others through the most effective philanthropy possible. Serving the central Ohio region for 64 years, The Columbus Foundation is a resource for philanthropic strategy and community knowledge and is a partner in improving central Ohio. With assets of $1 billion, The Columbus Foundation is one of the ten largest community foundations in the United States today. For more information about The Columbus Foundation, visit www.columbusfoundation.org or or Contact: 614/251-4000, Carol Harmon. Columbus Culture Fest is the city's central cultural community oriented program, and operates with additional sophistication due to the communities string academic cultural presents of Ohio State University - USA's Largest Campus. American who lighted up the hearts of Paris - France " Les Avant Garde "
Want to take a break and learn something which has meaning and have importance at the sametime ? Then look at the following sites. Dance Ithaca - Ithaca Dance Performance Network. International Students / Scholars Intercultural Resources Network - Chicago. Join in the peace process of self - discovery click on. As per an internet suggestion....Cultural Zionism Forum ~ Columbus, Ohio ~ Get Together : A non - affiliated Israeli related social program planning forum for the organization the Columbus, Ohio Cultural Zionism group. Entertainment and Recreation . Thereby giving you a context in which to view your own interest in life, and what the world has instore for once you begin to reach out as a community. Cultural Democracy : Central to every city's future is its ability to reach within it's pool of citizens, and allow private initiatives to flourish in both the social, economic, spiritual, and political community domains. The basis of which is cultural democracy as per [ WebSite ], " The Central WebSite for Cultural Democracy, Ithaca, New York . Ti fully understand the overall implcations of what is cultural democracy, goto Cultural Democracy, An Evolving Essay, by Roger Meredith Christian. Supporting links, The Academic WebSites for Cutlural Democracy. Ithaca always has the welcome mat out...See Ithaca Night Life ( NightLife ), RMC - then copy what goes on in this cultural magnet destination city for Binghamton, New York. Entertainment: Dance - Music - Concerts / Press Releases. Dance is Fun in Columbus, Ohio. Ballroom Dance Cities / City . Belly and Folk Dance Cities / City . The Latin / Salsa Dance Cities ( City ) . Swing Dance Cities / City . (Columbus) Mayor Michael B. Coleman brought together hundreds of citizens and community leaders tonight for the State of the City Address, outlining a vision for the next five years as Columbus prepares for its Bicentennial in 2012. The Mayor also provided updates on the challenges facing Columbus and initiatives that continue to improve local housing, address safety concerns and support the local economy. In his eighth State of the City Address, Mayor Coleman touched on issues pre-announced this week from the speech, including the AEP Foundation’s commitment of $10 million to the Scioto Mile park system, the tour of Skybus’ new gate at Port Columbus, Operation Safe-Walks – a $50 million commitment to build needed sidewalks and infrastructure along major roads or near schools. The Mayor will also host a "green tour" of the historic Lazarus building tomorrow morning. The Mayor followed up on major initiatives announced in previous years, such as Home Again, a $25 million plan to address vacant and abandoned housing. During tonight’s presentation, the Mayor announced how the City of Columbus is ramping up Home Again in 2007 – when we will be spending an estimated $8 million from the committed funds. Since last June, Home Again has helped 105 families keep their homes by providing free roofs, in addition, more than 75 abandoned homes were demolished and more were purchased for rehabilitation. The City and Habitat for Humanity also built the first new home in Franklinton in 50 years. 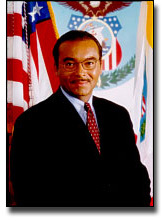 The following text is from Mayor Michael B. Coleman’s 2007 State of the City Address. While some changes may occur during delivery, this represents the majority of the message to be delivered. Thank you for that fine introduction by our Auditor Hugh Dorrian, Bill Connor and Angela Pace with CAPA. Thank you Mary McClendon for national anthem. Kilroy, Paula Brooks and Marilyn Brown. Also thanks to all those from the suburbs and townships of Central Ohio and from the Statehouse. I want to thank Columbus’ 1st Lady, Frankie Coleman, as well as our children JD and Justin. Kim is in Chicago. I also want to acknowledge my brother Jeff and Aunt Elaine Pittman. I want to acknowledge my team, my cabinet and staff, who take on every challenge and believe so strongly in this City, led by Chief of Staff Mike Reese. Most of all tonight, let me thank all City employees and the leaders of Organized Labor who represent them so well. Tonight, let’s all put our hands together for the hardest working employees in the world, our SNOW WARRIORS! More than 250 plow drivers and water-line repair crews, from several departments battled the worst snow and ice storm in several years, in 12 hour shifts for more than a week to keep our roads open and safe. They have the toughest job in the City and we appreciate all they do. And to all of you here tonight - welcome. Tonight, I want to speak to you about Columbus, and the kind of City we are building together, not just for our coming days and months, but for our coming decades and more. I begin tonight where Columbus began: Franklinton. In 1795, Lucas Sullivant came to the spot near the Olentangy and Scioto rivers and decided it would be a good place for a town. Two years later, he began laying out the boundaries for Franklinton, where settlers built homes, the area’s first school, the first church, and even the first tavern, all log cabins. In 1816, Sullivant built the first bridge - linking Franklinton with a future downtown. The area’s first fire department consisted of every available male and there was a rule requiring everyone to keep a bucket handy. And there were good deals to be had - if you wanted to buy land – you could trade a gallon of whiskey for an acre. When Ohio became a state in 1803, its capital was in Chillicothe, then it moved to Zanesville and then back to Chillicothe again. 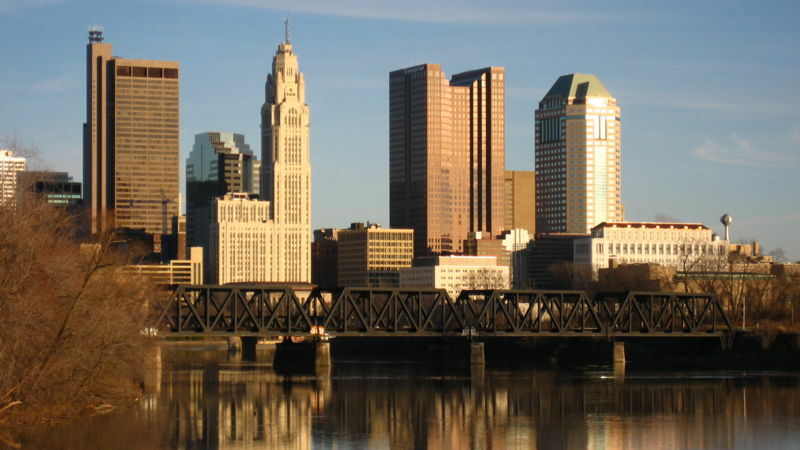 After years of squabbling, on February 14, 1812, Valentine’s Day, the state legislature chose to make its capital on a spot they called the "high banks of the Scioto," what would become the City of Columbus. The legislature finally got one right! Jacob Studer also wrote a history of Columbus, and said, "It was not of its own seeking that Columbus became the capital of Ohio. That was its destiny from the beginning." From our humble origins, today, our City’s destiny remains one of greatness - where every resident can prosper, where every neighborhood can be strong, where we can live safe and healthy lives, fueled with the hope that we can and will make our dreams a reality. is commonly a celebration of the past, but as we commemorate our past, I want us to envision our future as well. I believe it’s time to assess our strengths and weaknesses. It’s time to aspire to even greater progress for all our people. I am asking my fellow citizens to see this city as they would like it to be, to dream of this city as they wish it could be, then join me as we roll up our sleeves and make it so. Because, my fellow citizens, the state of the city is strong, stronger than it’s ever been, but not as strong as it will be. Now, there’s much to be proud of. We’re investing in housing. We’re cleaning up older neighborhoods. We’re fighting crime. We’re fighting for jobs. Many of America’s big cities are losing residents – in the last 15 years Cincinnati and Cleveland each lost 50-thousand residents, Detroit lost 1 million people, but Columbus grew by more than 100-thousand residents. After an extensive study, just last week, Columbus was once again chosen as one of the top cities in the nation for African American families. Why is this important? Because African American families want what all families want – good housing, great neighborhoods and most importantly - a chance to succeed. These are good things. But we must always strive to be better and stronger because our best days are still ahead. Let us now resolve to make 2012 not only the Columbus bicentennial, but the Columbus renaissance. To this end, I am announcing that we will create the 2012 Commission. They will be charged with the responsibility of reaching out to all our residents to look forward, to plan for what our city can be in 2012. Over the next 20 Months, as we start planning for our bicentennial, I am asking every resident from every neighborhood, every church, every barber shop, every grocery, everybody to join me and the 2012 Commission. We’re going to be searching for history and determining our city’s future. Members of the 2012 Commission will be asked to think, to plan, but most importantly - to listen. Listen at neighborhood meetings across this city. Listen at special events in our schools. not to increase our taxes to pay for bond packages, including this Bicentennial Bond Package. Some needs are more obvious than others, and tonight I’ll outline a few that I want to see addressed by 2012. We must reclaim blighted brown-fields and industrial sites in our neighborhoods. Over the past 200 years, our city was blessed with a strong manufacturing sector that created good jobs, good pay and helped our city prosper. But, over the years, many of those manufacturing plants closed down, from the Timken Plant in Milo Grogan, to the Techneglass Plant on the South Side, to the Columbus Coated Fabrics plant in Weinland Park, leaving behind jobless and struggling families, needy neighborhoods and land unfit for productive use. These closed plants left behind the scar of contamination, depressing the entire area and making it virtually impossible to rebuild until the land is cleaned. Today, I’m proposing that the Bicentennial Bond Package authorize a multi-million dollar pool of money, solely dedicated to clean up blighted properties like these and put them back into productive use. We will call this the "Clean Columbus Development Fund." The journey to reuse the land will spark our economy, transforming blighted sites into productive land, for new jobs, new homes, and new hope. From the Bicentennial Bond Package, I also believe we should fund a new generation of family recreation centers, to address the evolving recreational needs of Columbus families. We are improving recreation centers now. The new Brentnell Recreation Center will be rededicated in March, and a renovation and expansion of the Whetstone Recreation Center will begin this spring. But, too many parts of Columbus have recreation centers built in the 1950’s, 60’s, 70’s and 1980’s that served our people well in the past, and continue to be used in the present, but fail to meet the diverse needs of a 21st Century City. Some areas of the City are barely served at all, so I am proposing a new kind of recreation facility, that will be called "Family Centers." Family Centers will contain pools, tennis courts, community rooms, and workout facilities. They will have senior services, fitness, wellness and health care services, after-school programs and day care. Family centers will be state of the art – designed and programmed to meet the needs of our families. We are also continuing to connect the entire county with fitness trails where people can walk, run and bike. We have made great progress here as our City has improved from 5th Fattest City in the nation to 19th Fittest City. We must continue that momentum, and we will with 58 miles of biking and walking trails today - we must expand up to 110 miles by 2012. I look forward to working with our new City Councilmember Priscilla Tyson on all our parks. sidewalks, 11 miles around schools. We’ve built sidewalks to Maize Elementary School in Northland, on the South Side along Watkins Road, on the West Side in front of Briggs High School and along Sullivant and Demorest. But still to this day, too many children must dodge cars in the street because no sidewalks exist, too many seniors must take their lives into their hands because curbs cannot separate cars from people, and too many areas have bad drainage. Although we have done much in this area, I strongly believe we should do more. To this end, we will combine resources in our existing Capital Budget with new authority in the Bicentennial Bond Package totaling $50 million dollars in a new initiative of public investment called "OPERATION SAFE-WALKS". We will build sidewalks, and where necessary add curbs, gutters and in some cases even new roadways. Not every street is getting sidewalks through this program, but certain main roads where there’s a clear need, especially on the way to school. Let’s start on our South Side, along main roads like Parsons Avenue, Lockbourne Road, or roads with schools like Fairwood Avenue and Koebel Road. These improvements will forever change the South Side for the better. And, we need to take action along Joyce Avenue, near Saint Stephens Community House and new homes that have been built. There will be other roads and neighborhoods added in the coming months and years to Operation Safe-Walks, but this commitment will take our sidewalk initiative to a new level. While this project seems ambitious, that’s what we need for 2012, the ambition to do better and the resources to get the job done! I look forward to working with Councilmember Maryellen O’Shaughnessy on these important projects. Enterprises, Huntington National Bank, Columbus Foundation. Just a few years ago, it was unheard of to see this kind of private investment in the King Lincoln District. Revitalizing the King Lincoln District has long been a dream of many, and day by day, step by step, we will reach the mountain top. We have also worked to strengthen our neighborhoods by strengthening home ownership. In my last state of the City, I laid down the gauntlet against the blight of vacant and abandoned houses. We are devoting $25 million over the next five years to tackle 1,000 homes and properties, to abate, renovate or demolish. This effort is called HOME AGAIN and house by house we are attacking the problem of abandoned buildings. We started HOME AGAIN where our city was born in Franklinton. And we just moved a family into the FIRST NEW HOME BUILT in Franklinton in 50 years. Just think a new home has not been built in Franklinton for a half Century! Our thanks to Habitat for Humanity and our other partners! We will break ground this spring on at least 15 more new homes on vacant lots in Franklinton. Let there be no doubt about it, this neighborhood is not on its back, it’s on its way back and the entire city will be a better place for it. Since the beginning of Home Again in June, we’ve impacted 176 properties citywide. We’re ramping up in 2007, investing $8 million more this year to address another 540 or so properties, from roof repair, furnaces and acquisition, rehab or demolition. As we fight the blight of vacant and abandoned housing, we must never cease to fight against the perpetrators of poverty, the demons of decay and the captains of crime. The worst of the worst right now is Woodland Meadows. It is the very definition of blight, and it must be demolished. Woodland Meadows mere existence is a detriment to our residents’ health, safety and welfare. So we’ve taken the owners to court to declare it a nuisance. And one week ago, the Franklin County Environmental Court agreed. Thank you Judge Harlan Hale, City Attorney Rick Pfeiffer and Councilmember Patsy Thomas, who helped toughen up City Code on vacant properties. We will begin demolishing Woodland Meadows by this spring. From its destruction, one day something good will rise from the ashes. I’ve been to Woodland Meadows, I’ve seen the apartments that look bombed out, stripped of their building materials. Criminals are stealing everything from catalytic converters off cars to manhole covers, copper pipes and aluminum siding. We’ve reason to believe that some scrap metal dealers continue to buy these stolen items and we are taking action. By working with Councilmember Andrew Ginther, we will begin to license scrap metal yards, requiring every seller’s personal identification and information on every sale. This data will be shared with our Police and we stand ready to impose criminal penalties on anyone caught buying and selling stolen materials. Public safety is one of the most important missions in this City. Since late 2004, through the Mayor’s Strike Force and anti-gang initiatives, Columbus Police made 1,200 arrests and took 420 guns off the street. These arrests have a significant positive impact on neighborhoods by taking some of the "worst of the worst" suspects off of our streets. We’re also giving Police Officers and Firefighters more tools to do their job, like the 1,000 walkie radios we purchased recently. I did not know when or where a radio walkie would save the life of a police officer, or the life of a citizen. I only knew it would. Last November, at a United Dairy Farmers store, Officer Melanie Stevens was attacked during a robbery and called for back up assistance. Officers Jason Wood and Bradley Thomas were on special duty assignments nearby, and in the past many officers on special duty did not have radios. Hearing the call on their walkies, they raced to the scene and disarmed the robbery suspect, saving the officer and customers. Tonight, I’m happy to announce we’ll invest at least $500,000 to purchase and maintain more of our walkies. While our Police target those who do wrong, we are working to help our young people make positive decisions. That’s why, with the help of Councilmember Kevin Boyce, we have organized the African American Male Empowerment Commission, to reach out to young black men to get more of them on the right track. Part of staying on the right track is staying in school for all students. Far too many young people are skipping school… wandering the streets of Columbus, loitering and being unproductive at best, committing crimes at worst. Each of us has a responsibility to keep our students in the classroom — parents, teachers, principals, community members, the courts, and the City. In 2002, 1,100 Truancy cases were referred to Juvenile Court. In 2005 and 2006 school year, 3,000 referrals were made. In the spring of 2005 our police picked up 582 kids in just a few months. Starting in March, the City will step up again to crack down on truancy, with three teams of Columbus Police Officers patrolling our streets and taking kids to the City’s Truancy Center, where parents are called to be parents. We all know that police enforcement is only one of several important intervention strategies, and I applaud Dr. Gene Harris and County Prosecutor Ron O’Brien and neighborhood leaders who are working on solutions to this challenge. We are here to be your partners. Columbus is one of the five most prepared cities in the nation to deal with an emergency or disaster. Thank you to Deputy Chief John Rockwell and his team. I also want to give a shout out to Fire Chief Ned Pettus, and all the members of the Division, soon to be recognized as among America’s best, as they are earning National recognition from the Commission on Fire Accreditation International. Only one other big city in America has earned such high marks. Everything we do as a city, every program, every new structure, relies upon our strong economic base. While our state lost 230,000 jobs in the past few years, City deals have created and kept 21,000 jobs and leveraged $3 billion in private investment. While we’ve lost some jobs, we are still the economic shining star in Ohio. One way we’ve done that is by helping to start Columbus’ first hometown airlines - Skybus. After three years of planning and persuading, we’ve raised $100 million and provided City and State performance incentives to this bold new venture. The first plane to take flight is the "Spirit of Columbus." Skybus will create 1,200 direct jobs, 10,000 indirect jobs, and its impact will ripple through our economy, with $600 million in new private investment and 5.3 million new visitors and Skybus passengers to the city. Skybus will fly from Port Columbus International Airport another great asset for our economic future. We must use the opening of Skybus as a catalyst for even more development around Port Columbus. We’ve already begun seeing activity, like the redevelopment of the Bedford landfill, the Chalmers P. Wylie Veterans Administration Hospital, and the expansions at DSCC, but it’s time to take it to the next level. Today, I’m proud to announce that after long discussions with the Mayors of Gahanna and Whitehall, we are joining forces to create The Port Columbus Growth Partnership. The partnership will position the entire area around Port Columbus as a key job center for our region. Together, we will create a new economic development corridor called the Port Columbus Area Development District. This District will include multi-jurisdictional planning… shared infrastructure investment, joint marketing and multi-jurisdictional business incentives - all aimed at getting companies to locate, expand and grow near the airport. Today, there are 400 vacant acres which could accommodate two to four million square feet of new development enough to bring 10 to 20,000 new jobs to Columbus, Whitehall and Gahanna. This is regional cooperation in action, where three jurisdictions can work in partnership to build an economy that benefits each other. Port Columbus is our front door and an economic engine in this region that must be leveraged. Port Columbus supports about 23,000 jobs, generates $2.2 billion in economic activity, and has 400 businesses around the airport. I want to thank our partners at the Columbus Regional Airport Authority, Mayor Becky Stinchcomb of Gahanna and Mayor Lynn Ochsendorf of Whitehall, for their vision and for their willingness to work on this Win-Win-Win relationship. on the South Side at Techneglas, victims of a state economy that saw an exodus of manufacturing jobs from Ohio. Starting on the South Side in 1902, Techneglas was the largest manufacturer of television glass in North America and it employed 1,700 people in good paying jobs with health benefits. It shut its doors forever. While we tried to comfort them from their pain and tears, many were retrained for new jobs, but many were left unemployed. It is with great pleasure and great pride - South Side Pride - to lift up the South Side of Columbus once again. We are working with a private development group, whose intent is to transform this blighted, vacant and abandoned eyesore into office space, neighborhood retail, and light manufacturing. If the Developer keeps moving forward, and works with residents, we will help them by supporting an application for State Grants to clean up the Techneglas site from environmental hazards. This rejuvenation could generate 1,500 new jobs on the South Side. While much work needs to be done with the neighborhood residents, organizations and the City, this redevelopment brings great prospects of putting people back to work on the South Side of Columbus. As we build neighborhoods and the economy for the future, we’ve got to keep Getting Green. Sustainability isn’t just something to talk about, it is critical to our long-term success as a nation. There’s a Get Green update available tonight, to show some of what we’ve been up to. Two years ago, I launched the Get Green Columbus challenge. Since then we’ve had real successes – attracting green businesses, reducing city vehicle emissions, and creating a preference for green vendors of the City. From building a new green neighborhood called Greenview Estates, to planting thousands of trees, and leading the Big Darby Accord process, Columbus is doing all it can to clean the air, clean our water, attract green jobs and build green homes and businesses, and to expanding recycling. And we have the biggest Green Rehab Project in the Midwest right here in Columbus - our historic Lazarus Building. Last year, I charged the Columbus Chamber to determine how to keep and attract young professional residents. Some people asked – why does this matter? Well it’s simple, in the next 10 to 15 years there will be two people retiring from my generation for every one young worker entering the job market. Cities and businesses will be competing for every worker. We know businesses don’t locate here for the mountains, or the beaches, or the weather, but we do have the most important asset of all to offer the companies of tomorrow a large pool of young, educated graduates. Every year nearly 20,000 graduate from our colleges and universities, and we must make sure they stay here. Early research shows that Columbus is great for young workers - they like the jobs and neighborhoods… but they want better transportation and more arts. In the coming months, we’ll be taking more steps, launching the Mayor’s Young Professionals Advisory Committee, and we plan to host a statewide Young Professionals Summit in 2007. Rebecca Ryan and Ty Marsh will have an extensive update on the research next week, at the Columbus Chamber’s Annual Meeting. There is a great tide of momentum downtown, and we need to continue it. I’ve charged the newly aligned Columbus Downtown Development Corporation and Capitol South, under the leadership of Guy Worley, to bring together the public and private sectors, so we can accomplish important projects downtown by our Bicentennial. One is just a block away from Lazarus, where we’re bringing new life to one of Columbus’ greatest assets - our Riverfront. Every great city must contain a magnificent park in its downtown, and by 2012, we will finish the Scioto Mile. To the South, Whittier Street Peninsula, where the Audubon Society, the City of Columbus and Metro Parks are developing a nature center where our young can learn and experience God’s good earth. To the north, at North Bank Park, where condos and profound economic development has occurred at the Arena District. Now we must fill in the middle - the East Bank. A great corporate partner, AEP, led by Mike Morris, is committing the largest single private contribution to a park development in the City’s history. AEP’s contribution will be the lead gift to transform the East bank of the Scioto Mile from a highway to a park, $10 million dollars of private investment solely for public purposes. This is the kind of lead private investment we appreciate, and it will serve as a catalyst for other commercial and residential development in downtown. And the City is stepping up too, matching AEP’s contribution with a dollar for dollar city contribution. That’s not all, we must build on the momentum of housing creation downtown, because it’s working. We will reach our goal of 10,000 housing units easily by 2012. This should bring 15,000 people to live downtown. We will make major strides towards this end by transforming nine city blocks of mostly surface parking lots between 4th and 6th streets near CCAD and Gay and Long Street into 300 Chicago style two and three story town-homes. These new condos will not only create new homes, but a "new neighborhood," with parks and trees and an environment unlike any other in downtown. It also will be priced to attract a broad economic spectrum of residents, from first-time buyers to higher-end options. are all looking at or building 650 to 1,100 room convention hotels. A city that does not change is a city that will fall behind, and we are in danger of falling behind in this area. Our city must encourage the construction of a new full-service, 500 to 750 room, convention hotel downtown. In fact, recent studies indicate that a new, world-class, convention hotel will generate 2,600 new jobs and $440 million in economic benefit to our city over 10 years. To get the job done, I am charging the Convention Facilities Authority to work with the Columbus Downtown Development Corporation and Experience Columbus to determine the feasibility of a new convention hotel, and if it is feasible - get it done. Finally… when we’re talking about the future of Downtown, by 2012, we need to deal with the biggest challenge on the block - City Center. While I cannot at this time announce a specific plan, one is developing. City Center must be solved and we will solve it either with a capable, cooperative and well-financed, private developer, or we will do it ourselves. We’ve talked about buildings, we’ve talked about neighborhoods, we’ve talked about jobs, but, ultimately, a city is its people. And as our bicentennial approaches, as we assess our great city, I submit to you we are only as strong as the weakest among us. Our nation, our state and our city, have experienced an increase in poverty. That is unacceptable. We must attack poverty just as aggressively as we pursue the gleaming buildings of downtown. We must make the human condition the first order of business as we envision the future of our city. United Way of Central Ohio is set on a path to face poverty aggressively and we must stand with them shoulder to shoulder with new ideas to attack poverty with all we’ve got. And we have created a new team, the Columbus Franklin County Community Action Agency, to deal with issues of poverty in Columbus, and I applaud council member Charleta Tavares for all she continues to do in this area. We cannot be great as a city unless we all climb the ladder of economic prosperity together. That’s why we will build a state-of-the-art, Family Health Center on the South Side to replace the demolished John Maloney Center, and on West Broad in the Hilltop. That’s why we fight for every single job. We are training and retaining the workforce with new skills to meet an employment market that demands the workers be ready. We do this through the Central Ohio Workforce Investment Council. 21st Century City. Today’s initiators are just as important, as they see a need, they fill the need, they get things done. Your city needs you to step up. Just like Columbus’ Police Officers Amy and Tim Welsh, they saw too many houses lacking lighting in their patrol area, and they stepped up to help. Amy and Tim started a nonprofit – called Nana's Night Lights – to install free motion detectors and lights outside people's homes. 300 low-income residents – many of them elderly – are safer in their homes because of Amy and Tim's efforts. It’s the same way with Kenneth Williams and Allen Carrel on the South Side, when their neighborhood was looking bad from trash and debris, they organized kids in the area to pick up the trash themselves. When the snow storm hit our city just a week ago, Sean Rogers, a Linden resident, put his plow into action to clear snow from 53 driveways of senior citizens. Sean put shovels in the hands of 4 of his 9 children to help. When offered payment for his services, Sean turned it down and said, "Give me a hug, and pass it along." No one told Kenneth, Allen, Sean, Amy and Tim to perform these acts of goodness, but together these few touched the lives of hundreds. They just took the initiative. Like another great American who is here tonight. a Marine and a hero, who didn’t wait when fate called. On September 11th 2001, Jason Thomas was in New York City, and by now, I’m sure you all know his story, he saved lives that day because he took action. Now he lives here in Central Ohio, our neighbor, with that same can do attitude, raising his kids in our community. Jason, Kenneth, Allen, Sean, Amy and Tim, please stand. Thank you all for being initiators! And for inspiring us. My friends and fellow Citizens of Columbus, join me now, I am asking you to step up and stand on the shoulders of our history to make our city better, safer and stronger. Blogs / Archive Hosts .